Chicago Tops the World’s Best Museum List – Guess Who Else Made the Cut? 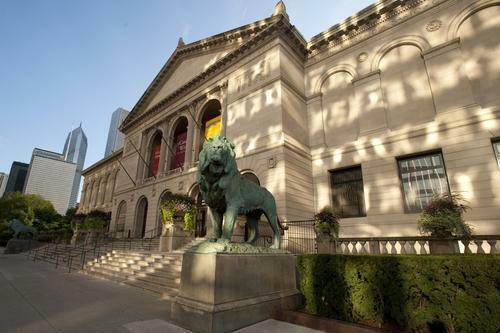 The Art Institute of Chicago was founded in 1879, but it still must be winning visitors over, because for the second straight year it was named the most-liked museum in the U.S. in TripAdvisor’s Travelers’ Choice awards. This year, it was also named the world’s favorite. The Getty Center of Los Angeles also drew high marks as the second-favorite museum in the U.S. and fourth favorite in the world. The Art Institute rose from No. 3 in the world last year to No. 1 this year. It has 300,000 pieces of art from the likes of Vincent van Gogh, Paul Gauguin, Claude Monet, Rembrant, and many other famous artists. Among the most famous works is “American Gothic,” that famous 1930 farmer/pitchfork painting by Grant Wood. . . . .